After learning how to restore and season a cast iron pan, let's heat it up and get cooking! 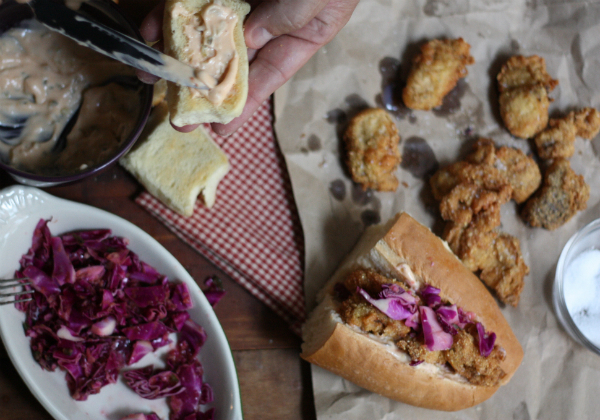 My latest guest post for Lot18 shares my go-to recipe for Skillet-Fried Oyster Po' Boys using fresh Rappahannock River Oysters, baguette, some spicy red cabbage slaw, and a dash of KIMKIM sauce. 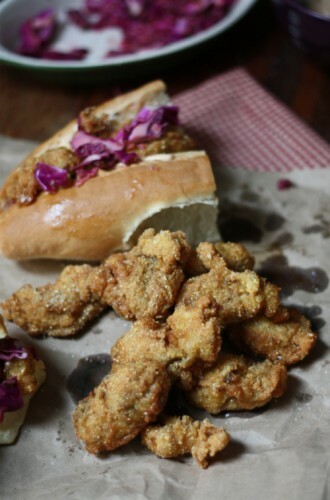 Fresh from the ocean to the skillet, fried oysters are a quick and easy meal to whip up during the week. For the complete recipe, head on over to Lot18. Fitting as I write this post, I am in NYC and always enjoy my fill of fresh raw oysters — the access accessibility is amazing in this city. What is your favorite way to eat oysters — fried, raw, grilled or steamed?